(VIDEO) TRHs Prince Carl Philip and Princess Sofia of Sweden Attend a Concert. On the evening of Monday, December 21, 2015, Their Royal Highnesses Prince Carl Philip and Princess Sofia of Sweden arrived at the Gustaf Vasa Kyrka in Stockholm to attend a Christmas concert entitled, Jul i Vasastan. Led by Swedish conductor, Mr. Jonas Gidberg, the lovely royal couple and guests listened to traditional as well as contemporary chorale music performed by Mr. Fredrik Nybladh and Ms. Molly Sanden with special guest artists Ms. Linda Brava and Ms. Gladys del Pilar. (VIDEOS) HRH The Prince of Wales Visits Cumbria. On Monday, December 21, 2015, His Royal Highness The Prince of Wales made a one-day visit to the region of Cumbria in North West England. Earlier this month the area was destroyed by severe flooding thanks to Storm Desmond. “…see for himself the impact of Storm Desmond on local businesses. [The prince also met with] representatives of BITC’s, Business Emergency Resilience Group. [Thereafter, the prince met with] residents of Warwick Road to view flood damage to their homes and to learn more about the ongoing repair works. 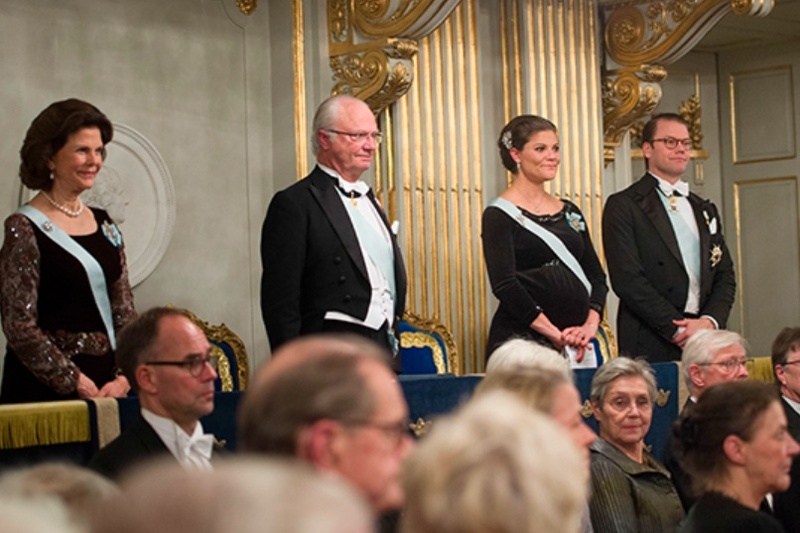 Members of the Swedish Royal Family Attend a Gala in Stockholm. On the evening of Sunday, December 20, 2015, Their Majesties King Carl XVI Gustaf and Queen Silvia of Sweden accompanied by Their Royal Highnesses Crown Princess Victoria and Prince Daniel of Sweden, Their Royal Highnesses Prince Carl Philip and Princess Sofia of Sweden and Her Royal Highness Princess Madeleine of Sweden and Mr. Christopher O’Neill attended the 2015 Formal Gathering of the Svenska Akademiens (Swedish Academy) held at the Börshuset in Stockholm.